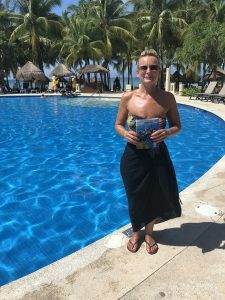 Congratulations to Kerry for successfully completing her PADI Open Water Course with 2DiVE4 in Cozumel on our recent dive holiday to Mexico. All dives were successfully completed and you went on to make a bundle of dives on the holiday. Well done Kerry! You may also wish to join us on our 2DiVE4 Seal Diving Trips or one our 2DiVE4 overseas holidays like our amazing 2DiVE4 GALAPAGOS Dive Holiday in 2020 to dive with schooling hammerheads, whale sharks, sea lions, marine iguannas and much more!